Psalm 1 has long been considered as a possible prologue to the rest of the psalter. In fact, in several ancient Hebrew manuscripts, this psalm is not numbered as are the others in the collection. The content of the psalm also has something of a "foreword" quality about it. 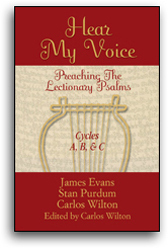 Many of the themes that are developed at length in the rest of the psalms are touched upon in this first one. As for type, Psalm 1 belongs to a group of poems referred to by scholars as "wisdom psalms." These psalms adopt an instructional tone and seek to encourage obedience to God's Law, the Torah.